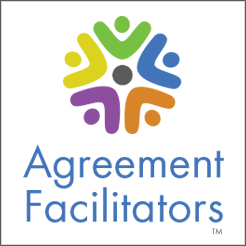 As a coach, teacher, and mediator, I'm always looking for resources to help me explain conflict issues better and do my work with clients more effectively. In Tammy Lenski's latest book, The Conflict Pivot: Turning Conflict into Peace of Mind, I have discovered a rich resource that I can use in the moment while I’m working with clients, and which I can give to my clients to guide them when they're in the grip of a conflict. The Conflict Pivot is a remarkable, clear, beautifully written, and wonderfully organized book. It is grounded in Tammy Lenski's years of experience as a mediator, teacher, and conflict coach and her thoughtful analysis of the themes and issues in many disputes and conflicts. She gives examples not only from her professional experience, but her own personal struggles with conflict as well, which adds depth, humor, and humanity to her writing and gives her ideas an immediacy that is very appealing to clients. She has distilled complex ideas and processes into a crystal clear, exquisitely simple and highly effective process that experienced conflict resolution professionals can use to help clients, that conflict resolution teachers can use to teach new mediators and coaches, and that coaches and mediators can recommend (or hand) to clients to help them to successfully get through their own conflict, personal or professional. Equating their version of what happened with the truth. Blaming the other person for the discomfort they feel. Focusing on what happened in the past instead of looking to the present and future. These mistakes get in the way of the desired outcomes this book helps people reach, which are: 1) Let the conflict go (even without any participation from the other person) or 2) Know exactly what to talk to the other person about to move through the conflict. The Conflict Pivot helps your clients understand why a conflict hooked them, and to see their own conflict patterns and cycles of blame so they can change them for the better. The book further offers the hope that your clients can truly let go of the past, and reclaim their own power in any conflict situation. The book is structured around three conflict pivots. Pivot 1: Away from their own stuck story and toward its message. Instead of telling the same stuck story of the conflict over and over, clients begin to understand what parts of their conflict have prompted a strong reaction, and what elements of the story they continue to dwell on. Pivot 2: Away from the other person’s behavior and toward their own conflict hooks. Instead of focusing on the other person’s behavior, your client begins to understand what hooked them in the conflict. Dr. Lenski explores six aspects of core identity: competence, autonomy, fellowship, status, reliability, and integrity, which can get challenged in a conflict. Understanding these can help our clients respond instead of react. Pivot 3: Away from the past and toward the now. Instead of being trapped in the past, clients can look toward the future, what they want and how they can get there. Each pivot has thoughtful questions you can use to help your clients see their underlying issues around the conflict, and a wealth of examples that make the pivots and how to use them very clear. You can easily use her questions as a model for a conflict pivot coaching session or workshop. The book also includes a rich FAQ section, which further explains the pivots and addresses people’s concerns. This is one of the best and most accessible books I’ve read in my years as a conflict resolution professional. I highly recommend The Conflict Pivot and plan to use it right away with my own clients and students.